This entry was posted in Downtown, Local business, Local politics, Organizations, Transportation and tagged Melissa Kane, Westport Wayfinding Steering Committee. Bookmark the permalink. The sign in your photo was designed and dispatched very well and WORKS. Concentrate on creating a local app for interactive directions and working with commercial online directional apps (WAYZE, SIRI, GOOGLE MAPS) to fix where they point and direct through residential routes, it has been done in other towns. Chip-you nailed it. It is not complicated. So many use Waze and other apps for directions and info. Just tie into them. Not complicated nor expensive. How much is Melissa spending of the towns money? Who doesn’t use the internet for store locations, addresses and directions? I recall that the cost of this “study” is around 50K. Although its scope seems nebulous, the original estimate for actual implementation ranged to a quarter million bucks. I stand corrected. The original estimated cost to implement all the new signage which would be recommended by this study was roughly $500,000.00. Do these apps give walking directions that don’t follow roadways? It’d be nice to have something that helps identify parking, and then helps people find walking pathways between the parking lots and the stacked buildings would be nice. We’re locals and know about the routes tucked between and through buildings, but it’s not something a casual visitor would know about. In other local news, the Town of Westport has hired a nationally recognized firm to develop and distribute self-walking pants to residents. As part of a broader effort to support local commerce, the pants will follow a pre-determined route through the town’s downtown retail area. Wayfinder has been and continues to be one of the biggest Boondoggle Projects in the Towns history. Imagine, spending a half a million dollars for Melissa Kane’s vanity project. So many people thought when she was defeated at the Polls for 1st Selectman after campaigning for the Wayfinder proposal that it would finally be consigned to the Land of Misfit Toys. But it keeps coming back! How many times do we have to say “NO – This is an utter waste of taxpayers money!”? John-thank you. The CT state budget will get approved over the next few months and CT will transfer over 25% of the Westport teachers pension costs onto Westport. None of those costs are included in the towns budget. Time to hold off on boondoggles until the state budget is finalized. Lack of signage is not the problem. It is common knowledge that if you want to revitalize Main Street shopping, the duplicative and expensive chain stores found in malls must be replaced by the artistic, homegrown unique experiences that made Westport’s Main Street a shopping destination as well as an enjoyable place to spend time. As predicted, Main Street is merely reaping the seeds that were sown. Having lived here for near 4 decades and raising two children in this community, I believe that the real problem is that Westport has a fractured identity – and that combined with a spending problem equals disaster on many levels. “Bygone days” occurs mainly when it is permitted to occur, and “Progress” will always remain a subjective term. Before you know it, by a thousand cuts you’ve destroyed the reasons you’ve moved here in the first place. The unique Southern New England “charm” and “character” that so many resident’s speak of, and that attracted them here in the first place, has become a car ride away visit/”staycation”. 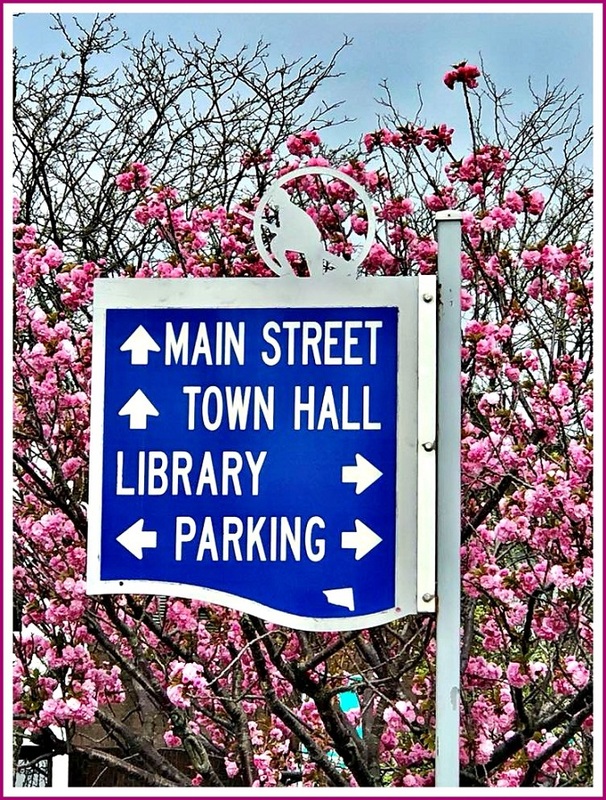 As stated by others, this signage “Wayfinding Project” is yet another absurd boondoggle project that has no valid or effective rationale – people use their GPS and mobile devices rather than signs that further pollute the town’s atmosphere and character. Like in patients, it is merely a bandage that covers a self inflicted wound so that you can say you did something – but not addressing the underlying depression. Westport’s identity crisis should be the foremost issue that requires serious attention – otherwise undesirable projects & proposals will continue unabated, and outside financial interests will exploit any foothold that a fractured identity creates.